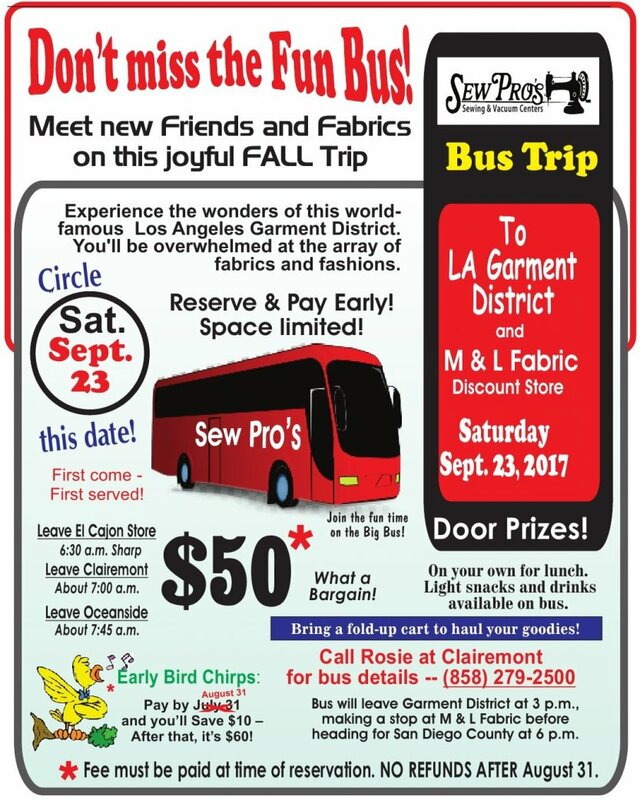 Don't miss the Fall bus trip to the Los Angeles Fashion District and M&L Fabrics-Discount Store in Orange County!! Fee must be paid when reserved. Leave Oceanside about 7:45 a.m.
On your own for lunch. Light snacks and drinks available on bus. before heading for San Diego County at 6 p.m.